Indeed, because this focus on the church is often missed in discussions about discipleship, I would highly commend anyone who cares about the church or the growth of Christians to read this book. This week, our church men’s group will be discussing its contents, and in preparation for that, let me share a dozen or so quotations from Discipling. These quotes highlight the ecclesial nature of discipleship found in Mark Dever’s book, and hopefully they both capture the shape of his argument and whet your appetite to read the book. Importantly, disciples are called to be a people who follow Christ, not just an aggregate of individual disciples. The great stress in Discipling is disciple-making placed the context of God’s holy community. The goal of his book Discipling is meant to foster this kind of disciple-making culture in every true church. And truly, it needs encouraging because too often disciple-making and church-building are split apart, rather than held together. Stressing the rigors of discipling and the absolute need we have for God to work within us and in those whom we serve, Mark Dever sets our sights on the long-term impact of discipling. This is an incredible insight, one that esteems the work of Christ to build his church and one that thinks of the upbuilding of the church more than our own personal ministries. Practically-speaking discipleship takes advantage of routine rhythms and the mundane schedule of life. As Ephesians 5:16 puts it, a faithful disciple(r) will learn how to “redeem the time,” and that redemption centers on encouraging others to know and love their Redeemer. No church will thrive on the ministry of a few overburdened leaders. That was never God’s plan. Instead, when every member takes up the call to disciple (= love, encourage, instruct, correct, check-in-with, pray for, and serve) one another, the body of Christ is built up. When the mundane moments of the week are filled with discipleship, the church grows deep and wide. For decades the chief proponents of disciple-making in the American Church have not been churches. Or at least, countless Christians have been introduced to discipleship by para-church ministries like the Navigators and Campus Crusade for Christ (Cru) rather than local churches. Mark Dever highlights this historical trend and pushes for the reunion of disciple-making and the church. Citing the goodness of these ministries and their insufficiency, he calls for disciple-making in the church. Yet the Bible teaches that the local church is the natural environment for discipling. In fact, it teaches that the local church is itself the basic discipler of Christians. It does this through its weekly gatherings and its accountability structures …, as well as its elders and its members … These in turn provide the context for the one-on-one discipling we have been considering so far. 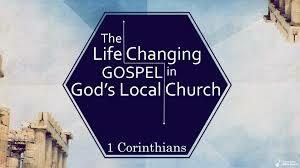 The gathered local church is responsible to preach the whole counsel of God through those gifted for this purpose. Through baptism it affirms credible professions. Through the Lord’s Supper it declares the Lord’s death and makes the many into one. And through excommunication it removes anyone whose life unrepentantly contradicts his or her profession. What does a disciple-making church look like? In chapter 6, Mark Dever answers with six practices. When these six things occur, a “culture of discipling” will emerge. And others have observed one of most powerful agents of transformation—for good or bad—is the community in which we immerse ourselves. Accordingly, a church where disciple-making is thick will be the most healthy of churches. And thus Mark Dever—who’s had a few things to say about healthy churches—helps us once again to see why discipleship should be taking place in the church. After laying out why discipleship is so important for the church, Mark Dever spends the last four chapters (ch. 7–10) outlining how to disciple. He addresses how to choose someone to disciple (ch. 7), what to focus on (ch. 8) and how much discipleship costs (ch. 9), and how to raise up leaders (ch. 10). In short, these final four chapters, plus Jonathan Leeman’s closing section on discipleship are vital for putting into practice all that Scripture says about making disciples. I could keep quoting Dever and his imminently practical counsel for discipling, but I’d rather you pick up the book and discuss it with some of your fellow church members. That’s what we will be doing tonight, and I encourage you to do the same!